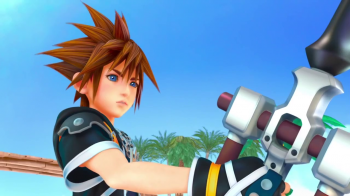 Kingdom Hearts 3 may conclude Sora's battle, but the franchise will go on. It's been over a decade since Square Enix spilled some Disney all over its Final Fantasy and created one of the most strangely appealing crossovers in recent memory. Though there have been numerous spinoffs and portable games, Kingdom Hearts 3 is the game fans have been waiting for to finally conclude the story. Series director Tetsuya Nomura doesn't plan on ending things so quickly, though: he says that even though Kingdom Hearts 3 will bring closure to the events that began in the first game, the series is far from over. "In Kingdom Hearts 3, the battles that the characters have been fighting for the past 10 years will come to a conclusion," Nomura says. "But the series will continue. Only the particular enemy they have been fighting for the past 10 years will come to an end." This means we'll be finishing the current plotline (the Dark Seeker / Xehanort saga), but there are many directions the series could take in the future. Nomura also mentioned that the final design of Kingdom Hearts 3 will depend on which brands Disney allows the studio to use. This could include Pixar franchises - Disney Infinity is already merging those universes - but nothing is confirmed, nor has there been any word on Star Wars. Kingdom Hearts 3 is planned to launch on the PS4 and Xbox One sometime in the future.